The Victorian era was a strange time which was not nearly as restrained and prudish as reputation holds. It was a time when everyone was exploring the world around them, and sometimes, that meant looking at the world they couldn’t see, either. It saw the birth of Spiritualism, the popularity of seances and fortune-telling, and the creation of secret societies. Occasionally, communing with the Devil or astral projection to other planets was on the schedule. 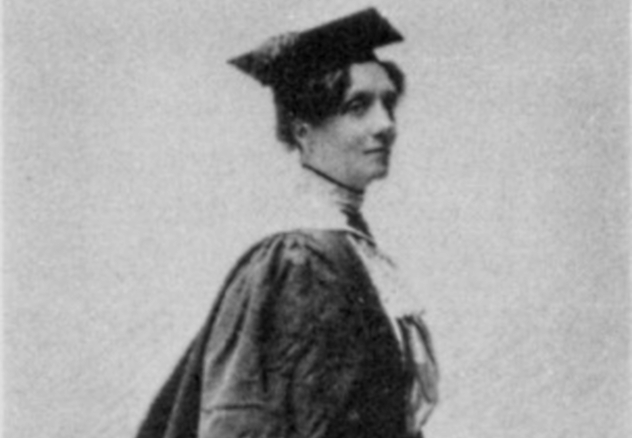 Annie Horniman had a huge influence on British theater; that is absolutely not up for debate. Originally from Dublin, she was largely responsible for creating the theater scene in Manchester, with the goal of bringing performing arts of all kinds to all people, regardless of income or social standing. She did so with her family fortune—hers was the first to sell prepackaged tea. Annie was a huge believer in tarot and used the cards for guidance in all of her business decisions. It must have worked, because other English cities still model their theaters on her program designs. However, her 1894 venture in the Avenue Theatre in London was a complete financial nightmare. Annie also believed that she could astrally project herself, and she frequently stopped by Saturn for a visit and a chat with the locals. A lapsed member of the Hermetic Order of the Golden Dawn, Horniman was sent on a series of astral projections in 1898. She believed that she was visiting all the planets. Note that astronomy was hugely popular at the time. New technology was allowing people to see more and more more of space, and books like The War of the Worlds were being published. Horniman and her astral projection colleague, Frederick Leigh Gardner, kept incredibly detailed notes about all the planets that they visited, recording everything from what kind of atmosphere they found to some of the conversations that they had with the life-forms they met. Traveling to each planet required a rather elaborate, symbolism-filled ritual—for Saturn, that meant using things like the Lesser Invoking Hexagram of Saturn and traveling along indigo rays. Once they got there, Annie records, they met an armor-clad angel who told them all about their civilization. The Saturnites were an ancient people, and they were dying. He gave them a tour, and even though he made them invisible so they wouldn’t frighten anyone, the Saturnites were able to feel their presence. In contrast, Jupiter was shrouded with protections and illusions, and it was much, much more difficult for them to summon their beautiful female guide, who was saddened by the state of things on Earth. It’s unknown whether Horniman and Gardner truly thought their journeys were real. It’s suggested that their writings were more an exploration of light and sense than an actual belief in a physical journey, but it’s hard to tell. Even as a child, Helena Petrovna Blavatsky was a little strange. She claimed to have invisible friends that she called her “hunchbacks,” and she was often found holding and stroking birds until they fell asleep. As a young woman, she married briefly and then left her new husband to wander the world for a decade. When she reemerged into society, it was reported that she had gained all sorts of spiritual and telepathic abilities, from controlling winds indoors to telekinesis. By 1873, she was in New York, and by 1875 she had founded the Theosophical Society. The Society had some pretty lofty goals, including uniting mankind in a universal brotherhood that had truly, completely explored the divine, mystical powers she believed all humans possessed. Soon, the society got the attention of the British Society for Psychical Research, and their interpretation and report on the phenomenon—or lack thereof—was less than stellar. After a three-month investigation, they claimed the whole thing was nothing but fraud and sleight-of-hand trickery. 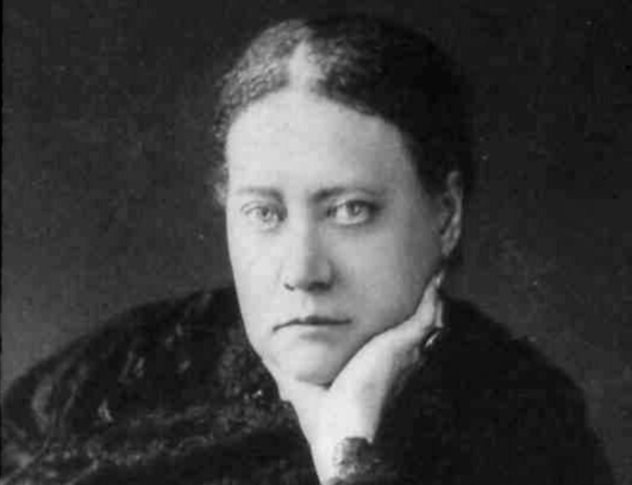 It’s not that they didn’t believe in the occult; they just didn’t believe that Blavatsky was authentic. Somehow, the society survived, and in 1888, Blavatsy published what would be her masterpiece, a book called The Secret Doctrine. It’s just as bizarre as you might expect. She talks about the birth of the races of mankind and says that the fourth race, the Atlantean Race, was the one responsible for developing sin and breeding monsters. While the First Race was the color of the moon, the Second Race was gold, and the Third Race was red, the Fourth “became black with sin.” Lemuria and Atlantis were both also real and would be proven as such. They were ruled by demigods in human form, and all the problems started when an evil demigod rose to power and turned the Atlanteans into evil magicians. 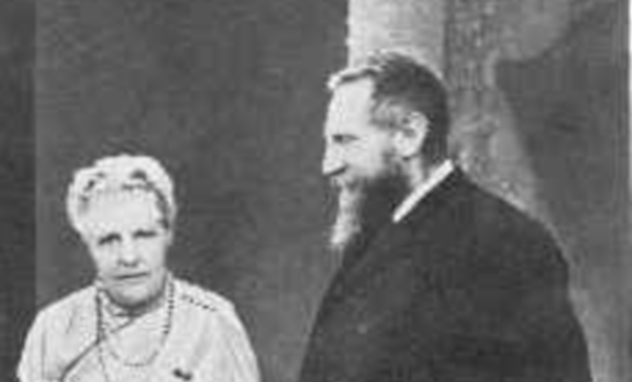 Besant and Leadbeater were outspoken supporters of Madame Blavatsky and the London Theosophical Society, to the point where they almost entirely turned their backs on their former lives once they stumbled into the occult. Besant had already separated from her clergyman husband and father of her two children, largely because of her anti-religious views. Leadbeater had been an Anglican priest when he converted to the Theosophical Society, specifically citing that ritual had made the original message of Christianity effectively nonexistent. So he headed off to India, and it was there that they both embraced the idea that elements of Hinduism and Buddhism could be combined to reach the otherworldly. Later, they would partner to write Thought-Forms, a pretty bizarre work that was grandiose in every sense of the word, and would capture a few different things, depending on how you interpret the book. Their contemporaries understood the work as depicting everything that an understanding of the other world would open up, while today, we recognize the same ideas with a different name: synesthesia. The book contains a series of illustrations that the authors claim people have actually seen. They’re pictures of emotions and sounds; they’re non-visual things made visual. Music was given color and a shape, shown pouring out of a cathedral. It was a powerful attempt at making the abstract visual, and it’s not just an occult phenomenon—it’s a mental one that we absolutely don’t understand even today. It wasn’t just simple emotions or images that they were documenting, either. They assigned colors and shapes to a wide range of emotions and intentions, from the quest for intellectual knowledge to the desire to embrace everything in the cosmos; that desire is purple. Rasputin is perhaps one of the most notorious occultists and figures of the Russian court, but the stories of his predecessor are no less incredible. According to the story, Phillippe Nizier-Anthelme Vachod was born to parents Joseph and Mary on April 25, 1849. It was said he caused his mother no pain, and she delivered him while singing and overcome with joy. The storm that had been raging stopped, and a shooting star heralded his arrival. Clearly, the stories imply that he was something special. Small miracles were said to follow him around, and by 1874 he was working in a pharmacy in Lyon, France. It was there that he got a reputation as a healer, curing disease wherever he went and eventually being dismissed from the school for fraud. By that time, though, word had spread, and he welcomed anyone in need into his home, where he healed and cured people no matter what their affliction. One story in particular tells of how powerful Phillippe was reputed to be. Two doctors are leaving the bedside of a boy who had just died, lamenting how they were unable to save him. Philippe enters the room, where the boy has already been dead for two hours—the boy does, of course, wake up. Philippe conjured an almost Christ-like image and belief in his abilities. The stories that go along with him have a powerful undertone, as he always asks for something from those he heals; whether it be the forgiveness of a debt or a halt to gossiping, the general idea behind his work is that if you’re a good person, God will help. He was, sadly, less successful when it came to his own children, though, losing a son in infancy and a daughter to lifelong ill health. When asked to save his children, he claimed that his daughter’s death was postponing an event that would have been devastating for the planet. Philippe was understandably sought after, and eventually had the ear of the Russian court. There were plenty of people that didn’t approve of him or his teachings, from doctors who claimed he was a fraud to others who claimed he was a spy of some sort. He did, however, have a group of disciples that he taught, and he has long held a place in between religion, the occult, and spiritualism. We’re not quite sure what exactly was wrong with Alexis Vincent Charles Berbiguier de Terreneuve de Thym, but his writing makes it pretty clear that he was suffering from some kind of mental illness. Unfortunately, science and psychology didn’t have the tools to truly help him, and he was sent from one occultist to another. In 1821, he published a three-volume autobiography which was completely unlike any life story that a rich Frenchman had written before. 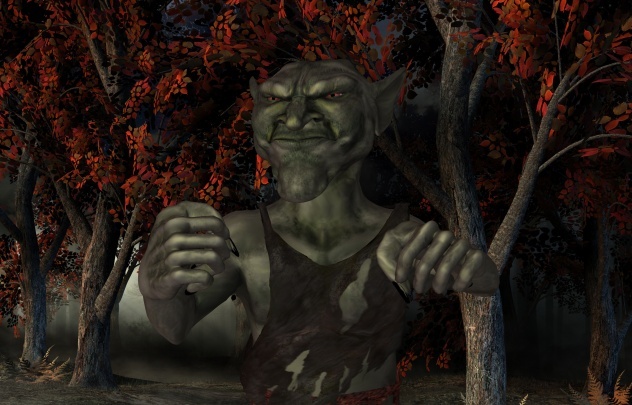 The volumes detailed his constant struggle with what he called “hobgoblins.” According to Berbiguier, he had killed so many of them that he had earned the title “Scourge of Hobgoblins,” but it turns out that killing them only makes them even madder. While living in Paris, Alexis saw several doctors and clairvoyants who attempted to treat him in a variety of different ways, from mesmerism to consultations with the tarot cards. In the meantime, the hobgoblin attacks continued. Eventually, Alexis became convinced that his doctors were ambassadors of the hobgoblins, and they’d done something to make his problem worse. He recognized doctors for the traitors that they were and increased his hobgoblin-killing efforts. He filled his rooms with hobgoblin-killing plants and kept glass bottles to trap them in, and he did indeed trap them by the thousands. Those around him (whether they were doctors, professors, students, or animals) became, in Alexis’s mind, hobgoblins in disguise. There were demons, too—a local druggist was really Lilith, and a doctor was Moloch. Berbiguier would spend his entire life haunted by the hobgoblins. Spirituality got a strange, strange start at the hands of three teenage sisters from Upstate New York. 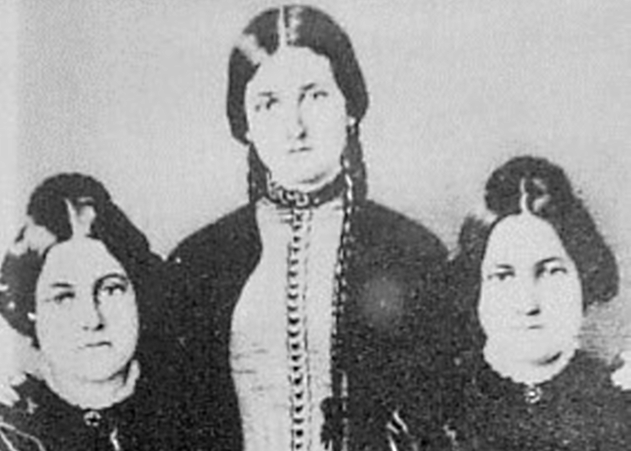 On March 31, 1848, the Fox sisters, Maggie, Kate, and Leah, made their first demonstration of their so-called channeling abilities. They claimed that the spirit of a peddler was present in the house, and they did the now-familiar routine of asking questions that were answered by a series of knocks. They headed to Rochester and then on to New York City, where they met with huge fame—even after one of the sisters, Maggie, confessed that the whole thing had been an April Fools’ joke that got way, way out of hand. It wasn’t until 1888 that Maggie demonstrated exactly how the knocks were done, in perhaps the simplest way imaginable: It was her toes cracking against the floor. It was exactly the source of the knocking that researchers from the University at Buffalo had suggested when they investigated the sisters. This revelation didn’t stop the movement from spreading, and it didn’t stop Maggie from going back to the life of a medium, either. When she died in 1895, thousands of faithful followers came to pay their last respects. Weirdly, that wasn’t the end of the story. In 1904, the Boston Journal reported that a skeleton had been found lodged in the walls of the house where it had all started. Believers immediately thought it was the skeleton of the peddler, who had been given the initials “C.B.” A few years later, the claims were further examined, and a doctor working with the Occult Review and the American Society for Psychical Research determined that it wasn’t so much a skeleton as it was a few bones. Most of those bones were, appropriately, chicken bones. William Stead was one of the victims of the Titanic, and at the time, his was a name that was on the top of the list of the influential and powerful people that had been lost in the catastrophe. Now, sadly, he’s been reduced to a footnote in any story about the Titanic. 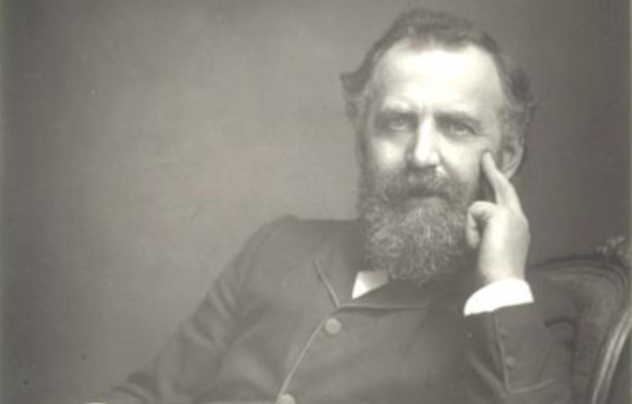 In 1892, Stead came forward with another bit of news: He was getting messages from the afterlife. Specifically, they were messages from dead journalist Julia Ames, and he believed in them so much that he organized an office in which women would sit, receiving messages from the Great Beyond and getting those messages to loved ones. Regardless of anyone’s belief in the occult, he did leave behind something that was absolutely prophetic. His short story How the Atlantic Mail Steamer Went Down was about a Transatlantic ship that sank with devastating loss of life, because the ship only had lifeboats capable of carrying 390 of the 916 passengers that were on board. He also included a warning that while the story was fictional, it was incredibly plausible. Born in 1848, Westcott had an incredibly learned background. By 1871, he was a partner in his family’s medical practice and would later become the Deputy Coroner for Northeast London and Central Middlesex. He was an active member of the Freemasons and the Societas Rosicruciana in Anglia. 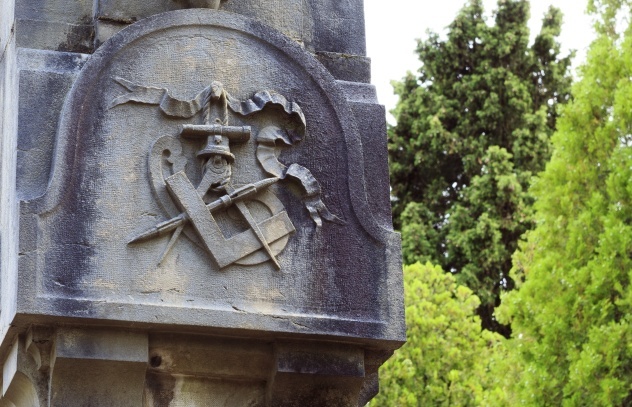 Obviously, he really liked secret societies, so he started his own. According to accepted lore, Westcott came into the possession of some cryptic manuscripts in 1887. They were written in a code that he could, fortunately, crack, and it turned out that they were instructions for the rites and rituals of the Isis-Urania Temple of the Golden Dawn. Supposedly there was also instructions on how to contact an “Adept” and get permission to form the society in Britain. The society took off, and by 1888, there were several temples. Westcott himself had become the “Praemonstrator of the Kabbalah to the Isis-Urania Temple of the G.D.” But, not surprisingly, the crown tended to frown on that sort of thing, and Westcott, after some of his super-secret papers had been discovered in a London cab, was forced to leave the organization if he wanted to keep his job. Nevertheless, it flourished without him. Spiritualism and Spiritism are two different things, and the latter was founded by Allan Kardec in roughly 1856. Kardec, who took his first and last names based on names he claimed he’d had in previous lives, was born Hypolyte Leon Denizard Rivial in 1804. Although he originally studied law, he disapproved of the field’s intolerance, so he turned to translating textbooks and running a school for boys. By 1850, he had been completely taken with the idea of table-turning, or moving objects from where they sat, and wrote his first book based on spirits that he claimed to be able to channel. The Spirits’ Book is still widely available, and it’s gone through a series of 25 editions. According to Kardec, Spiritualism was the belief in something that existed within a person’s soul, and that’s not what he was going for. His book was on spirits—actual entities that existed—and communication with them. Much of his initial interest and later proof of the spirit world was based on the phenomenon of table-turning. 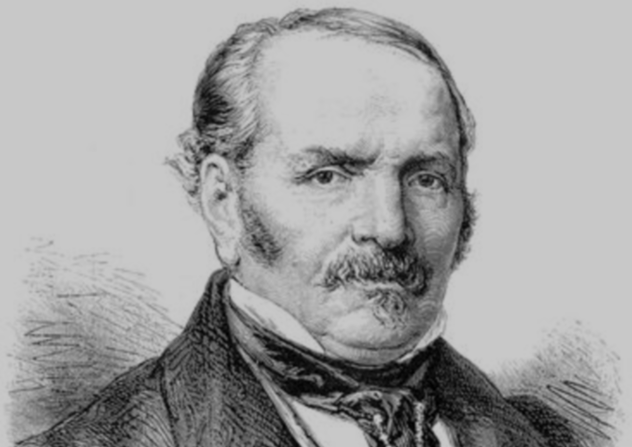 In his argument, Kardec pointed out that we don’t dispute that there are forces that we can’t see acting on the world around us, like the forces that cause earthquakes, and said that his beliefs were no different. Much of the information Kardec got about the spirit world came from mediums gifted in involuntary writing. He was optimistic that as the mediums’ knowledge progressed, conversation would have been easier. Through spirit communications, he formed the basic rules that guide the interaction between the corporeal world and the spirit world. The bodies we inhabit are temporary vessels for spirits, which exist in an infinite, eternal place. Spirits can be made visible, and some can even be touched. While a spirit exists in a body, there’s a tenuous link between the corporeal and the incorporeal. Kardac also goes into good and evil spirits, with the good ones belonging to the highest order and the evil ones being, essentially, the lower-class citizens of the spirit realm. Spirits are also always in a state of movement throughout the hierarchy, moving up through the ranks each time they’re reborn. It’s the spirit that dictates personality and person. Kardec also says that every time spirits are reborn, they’ll find other spirits that they’ve known in past lives and eventually remember connections, friendships, and past incarnations. 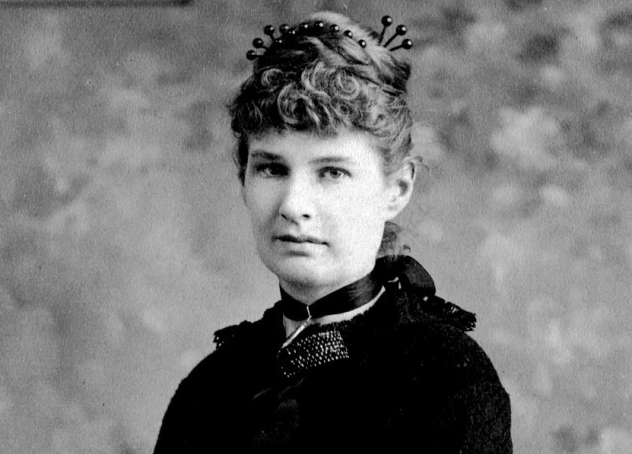 Anna Kingsford was a president of the Theosophical Society, and it’s thought that she was one of the inspirations for the name of the mysterious German woman, Anna Sprengel, who supplied William Wynn Westcott with the documents that he claimed outlined the rules and regulations for the founding of the Golden Dawn. She’s something of a contradictory figure, too. On one hand, she was one of Britain’s first female doctors, and she was one of the driving forces behind the development of an animal rights movement. She also believed that she could talk to fairies, travel through time and space, and that she had channeled visions which included the creation of the universe. The result of these two very different sides of Anna’s personality is that her writings are incredibly detailed, and, unlike a lot of writings on the occult, they remain consistent throughout. Her huge volume of work is fascinating. In Clothed With The Sun, she touches on things like the life of Nebuchadnezzar, the story of Persephone, the Greek gods, the trees of creation, the Christian disciples, death, sin, and life. She paints pictures of scenes as she says they truly were, as she’s seen all these moments in visions. Kingsford writes about some pretty bizarre things, too, like a vision of walking with Jesus and being approached by a man who could see a person’s past lives. She asks Jesus why he has come to Earth as a man instead of a woman when, clearly, woman is the highest form of life there is. Christ answers that while he has been a woman, he has returned as a man in his current form only on the outside, because the tasks and the life ahead of him were not suited to the body of a woman. 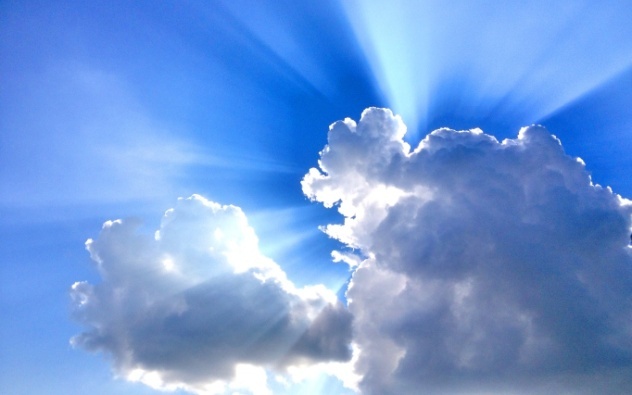 This is one of three reasons why a spirit can move backward down the reincarnation ladder from female to male; another is transgressions of the spirit. He assures her that on the inside, the spirit within was completely female.